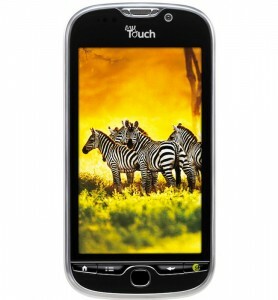 T-Mobile myTouch Review - Learn everything you need to know about the T-Mobile myTouch before you buy. -The T-Mobile My Touch 4g is a great phone. Despite some it’s poor design reviews, we think the phone has a great design and some really great features as well. Operating on Android with the HTC Sense user interface, Friend Stream, Wi-Fi Calling, and Video Chat all come standard. The touch sensitivity is a bit quirky sometimes on both the home screen and inside many of the apps. The photo and video quality are both standard for this range of phone. The screen has great color, the call quality is good, but speaker phone on the My Touch is terrible. Don’t plan on using it for listening to anything with a bunch of people around. -Again, this phone somehow got a lot of bad design reviews but we beg to differ. It’s nice to look at, doesn’t feel cheap to hold, and if you don’t like the look of the different materials on the back…who cares! It’s going to be in a case, in your pocket or in your hand where no one can see the back (sorry Engadget, you went a little overboard with the negativity). - At 3.8 inches the screen is a good size and has a 480 X 800 resolution which is standard on this class of phones. The speakerphone is one of the worst features on the phone. The volume is too low, but even then, it’s still not really that clear. We had a problem with the touch sensitivity of the screen quite a bit as well. It worked well most of the time, but when trying to unlock the phone, it often lagged. The optical trackpad/button worked much better for switching from screen to screen or looking at pictures. Also, switching from portrait to landscape was a bit sluggish as well. -Friend Stream is HTC’s social network app. It compiles your streams from Facebook, Twitter and MySpace and puts them all together. Good stuff if you are a social network enthusiast. -The Wi-Fi calling is supposed to be a really cool part of this phone, but we couldn’t get ours to work. Don’t know if it was our Wi-Fi network or what, but that little blue icon letting you know you were using Wi-Fi calling never popped up. We’re still trying to get that worked out. -The video chat is nothing to write home about. This technology still needs a lot of work to make it a viable option over a phone call. Still, cool that you don’t have to be on Wi-Fi. -The battery is rated at 6.7 hours of talk time with 10 hours of stand-by time. Most of the time we could go a full day with good usage and not have to charge it. -The most additional feature on this phone is the Wi-Fi calling. This feature is supposed to work great and we have heard great things about it, but like we said ours didn’t work. We tried on a couple of different networks, but no blue icon letting us know we were using Wi-Fi calling. The other really cool feature is video chat. This is one of the few phones that will allow you to chat while not on a Wi-Fi network. Still a bit grainy and choppy, this feature has a way to go before I will prefer this over a regular phone call. And of course, the phone comes with Bluetooth.